If you’re into free games for your Windows Phone, you’ll want to check out Rovio‘s Bad Piggies game. The publisher behind the Angry Birds phenomenon just released a new update to the game. The changes in version 1.5.4.0 are all notable. For starters, the game now includes Xbox Live Achievements. Secondly, it is now available for free. 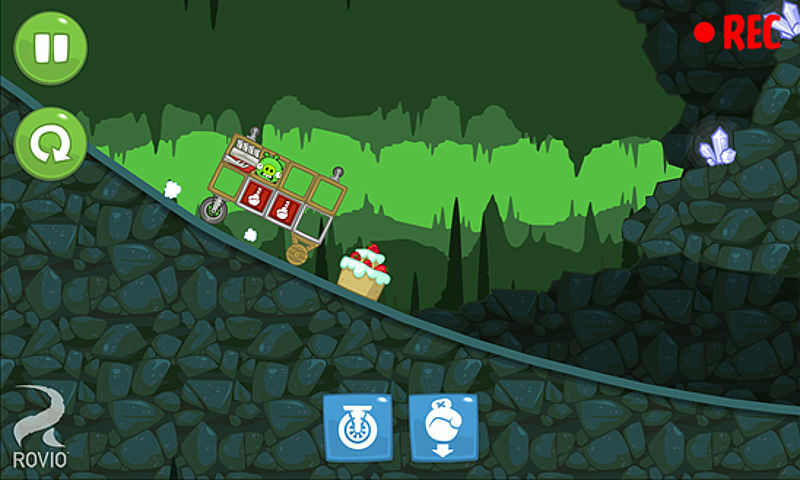 Bad Piggies is very similar to Angry Birds in certain gameplay elements. The object of the game is for you to create the “ultimate flying machine” and steer the pigs safely to the eggs. Bad Piggies includes over 200 levels of mayhem and you can unlock 36 additional levels by getting three stars. 8 sandbox levels to stretch your creativity, plus Junkyard available as IAP! Ultra-special, ultra-secret, ultra-difficult sandbox level to unlock by collecting ten skulls! 36 objects to create the ultimate machine: motors, wings, fans, bottle rockets, umbrellas, balloons, and much more! You can download Bad Piggies via the QR code above. Thanks Alejandro for the tip!